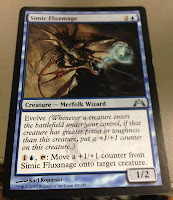 Two Simic Combine cards have been spoiled so far. The first didn't really excite me all that much. Yeah, it grows when you play bigger creatures. Yeah, it lets you move counters around some. But it just reminded me too much of the spike cycle from Tempest block... slow and underwhelming. Fathom Mage is the kind of card that seems extremely powerful, but is probably too fragile to make a major impact. I mean, come on... a 1/1 for four mana? That's way too easy to kill before it ever even makes an impact on the game. More often than not, you play this and have very little (if any) mana left over, so you have to wait until the following turn to get any real value. 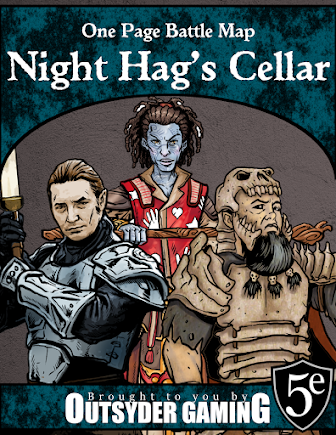 In the meantime, this chick has a huge target on her head and probably won't survive until your next turn anyway. Garruk Relentless could make a wolf token and cantrip. Garruk, Primal Hunter could cantrip twice as long as Fathom Mage sticks around long enough to make two beasts. 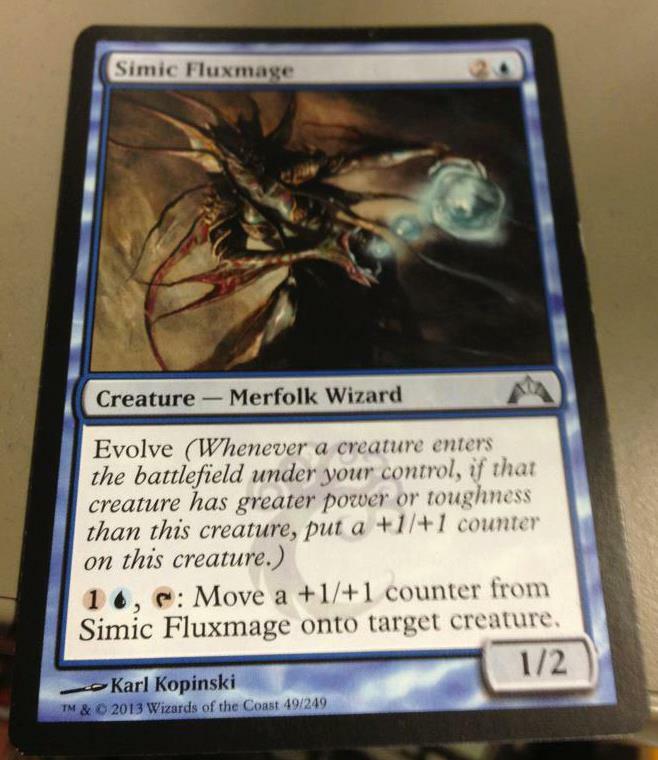 You don't actually have to trigger the Evolve ability to draw cards if Simic Fluxmage moves the counter. 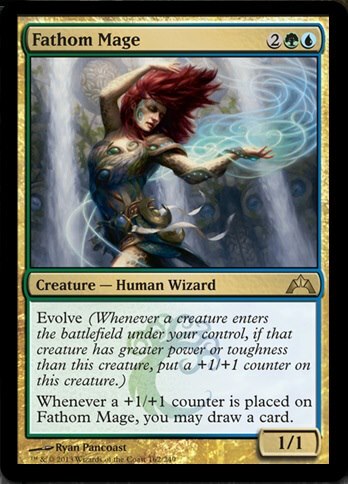 Abilities that trigger on "whenever a +1/+1 counter is placed on this creature" will play quite nicely with Scavenge. Perhaps a fun BUG Miracle Gro deck will be viable... Quirion Dryad is in the format, after all. Gavony Township + Fathom Mage seems slow but crazy awesome. I've got to be honest. I haven't been all that excited about much of what was spoiled prior to these cards... and I'm not even that excited about these cards at all. What I am excited about is the potential of the mechanic. Evolve looks like it might be a ton of fun.